Cik Sulaihah Binti Maimunni, aged 61. She has been appointed as Independent Non-Excutive Director on 1 August 2018. She has a Bachelor of Science in Civil Engineering (Hons) from Swansea University, United Kingdom. 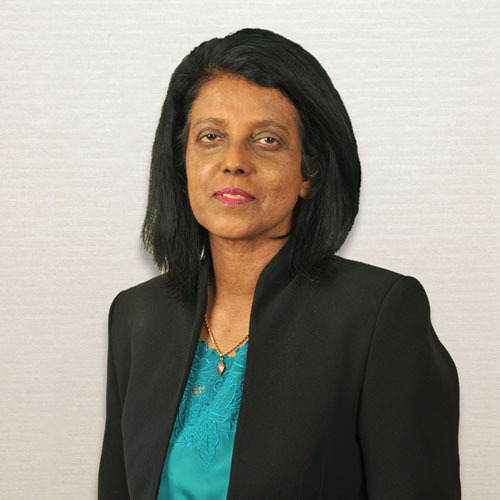 She has 30 years of experience in the development and project management of privatized and non-privatized construction projects in Malaysia and in several other countries. She also has some experience in financial analysis of projects and management of companies. Her experience in roads, expressways, infrastructure, land development and dam with notably the roads in Sabah, Fiji, expressways in Malaysia, Qatar and India, land development in Malaysia, Vietnam and Qatar and dam in Malaysia. She has also undertaken several feasibility studies in Pakistan, Sri Lanka, Ghana, Sudan, Morrocco, Indonesia, Chile and several countries in the Middle East. Her career development has been via Minconsult Sdn. Bhd., a consultancy firm where she spent 8 years developing her career from graduate engineer to senior engineer, the UEM Group, for 17 years rising from project engineer in Penguruan Lebuhraya Bhd to Executive Director/Chief Executive Officer of UEM Construction Sdn. Bhd. with responsibilities in project development/management, company management and directorship in several non-listed companies, Sarawak Hidro Sdn. Bhd., the developer of Bakun Dam where she, on secondment from the UEM Group, spent 2 years as the Managing Director to progress the more than 2 years delayed project and lastly with Naim Holdings Berhad for 3 years from 2009, as Vice President at the Managing Director’s office with additional appointment as Executive Director of Naim Holdings Berhad and Director of Dayang Enterprise Holdings Bhd, both public listed companies.